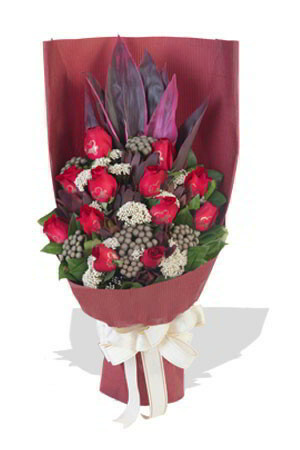 What better way to express how you feel than a truly unique and special bouquet that literally says, I love you! Each of these 12 deep red roses are inscribed with those three little words in gold foil. I have ordered through zFlowers.com on about 5 occasions now. The service has been excellent. 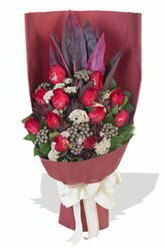 The flower arrangements are delivered on time, my instructions are followed to the letter and the product is simply outstanding. I would recommend your company to anyone contemplating flower delivery to Hong Kong. Thank you for the excellent service.